Yes, that would be my blanket scarf that I ordered off eBay for $12.99. 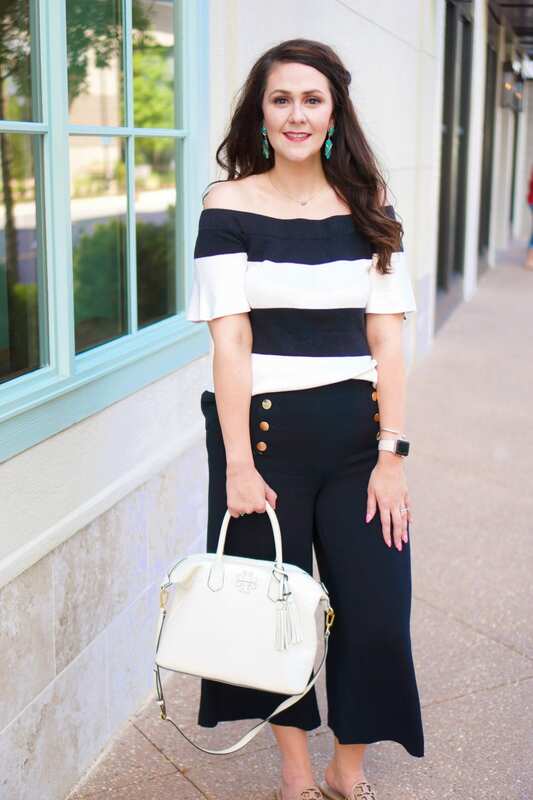 I’m in love with it, and will be doing a Wardrobe Re-Wear collaboration with it in the near future! My Walmart Beauty Box just arrived, and I’m in love! Seriously, you all must get in on this amazing deal! Della from Della Devoted messaged me 2 weeks ago to tell me that Walmart had a Beauty Box similar to the ones that Target did back in the spring. The box is free–you just pay shipping, which is only $5! By signing up, you agree to receive 4 such boxes per year (1 each season). This sounded wonderful to me, so of course I had to sign up. Fast forward to this week, when I received my box in the mail. I was pretty excited to see what was inside! When I opened the Beauty Box, I was really happy with the contents!!! So what was inside? L’Oreal Glossy Balm in Innocent Coral (full-sized)–this is a great color for fall and feels awesome on the lips! It will be one of my go-tos as the weather gets cold and my lips get chapped. Pink Friday by Nicki Minaj (sample)–this smells fairly good. L’Oreal Youth Code Pore Vanisher (sample)–I haven’t tried this yet and don’t know that I will. 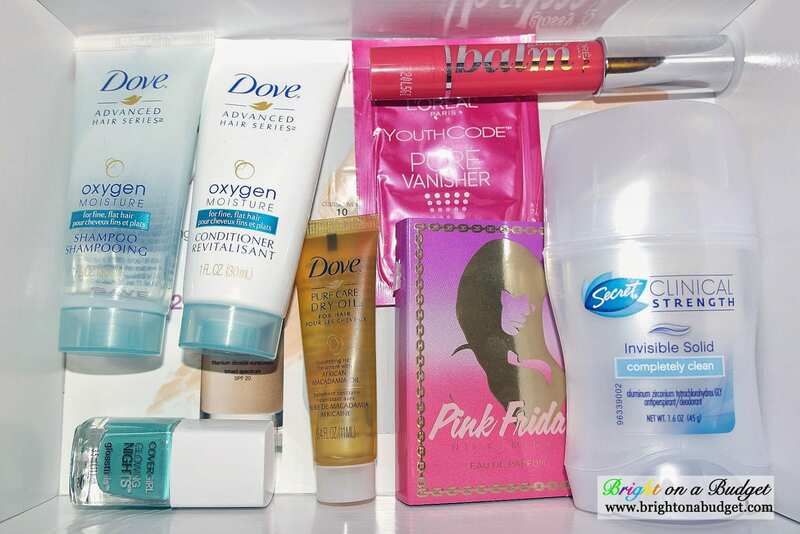 Dove Oxygen Moisture Shampoo (trial size)– I haven’t tried this yet, but I can’t wait to! Dove Oxygen Moisture Conditioner (trial size)– ditto the shampoo. Dove Pure Care Dry Oil (trial size)– I haven’t tried this yet, but I will this week. Secret Clinical Strength Invisible Solid Deodorant in Completely Clean (full sized)– works great and smells good to boot! Covergirl Glowing Nights Glosstinis in #AfterDark (full sized)– even though this looks tiny, it’s technically full sized. Love this color, and there’s several other really cute colors in the line. Neutrogena Nourishing Long Wear Makeup (sample)– I’m excited to try this because it has 8 sample colors to help you “[f]ind your perfect match.” There’s also a $2 off coupon if you like it enough to purchase. The lip balm alone retails for $6.97, the deodorant for $7.92, and the nail polish for $2.97, so just taking those items into consideration, the total comes to $17.86 worth of products for $5 (a savings of $12.86)! That’s not even including the value of the sample sizes. Also, you can check out these other reviews at Della Devoted, Coffee with Caitlin, and BYBMG. 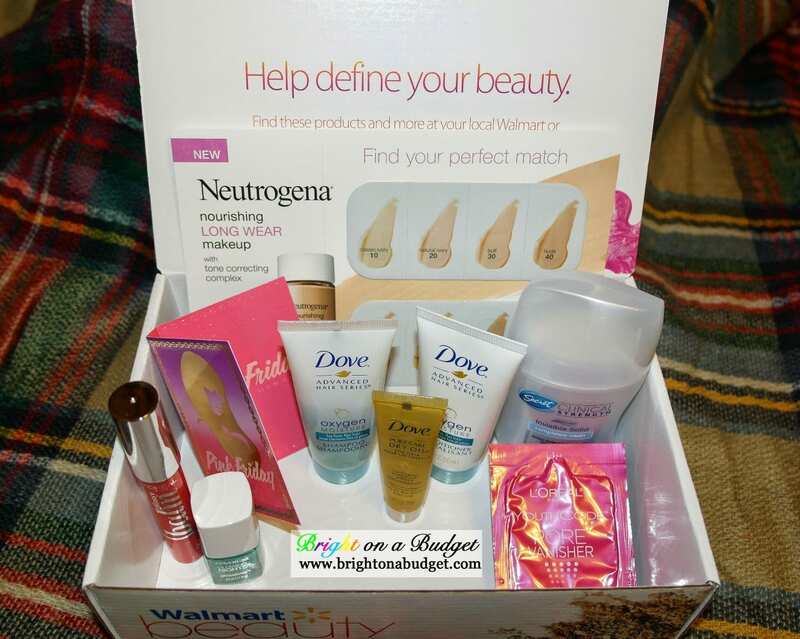 If you want to sign up for the Walmart Beauty Box, you can do so here. They also have a baby box, which I think would be a fun gift if you know anyone who’s pregnant (of if you’re pregnant yourself)! The baby box is now only available for moms who are 4 to 6 months away from their due date, but more box options are coming soon, including through toddler ages! I just got mine too and am planning on doing my review tomorrow 🙂 I love the color of the lip balm you got, mine's a little darker, definitely out of my comfort zone. I'm going to have to update my post with the baby box, that is awesome! I have a friend that could really benefit, and I can't wait to see what they come out with for the age ranges. 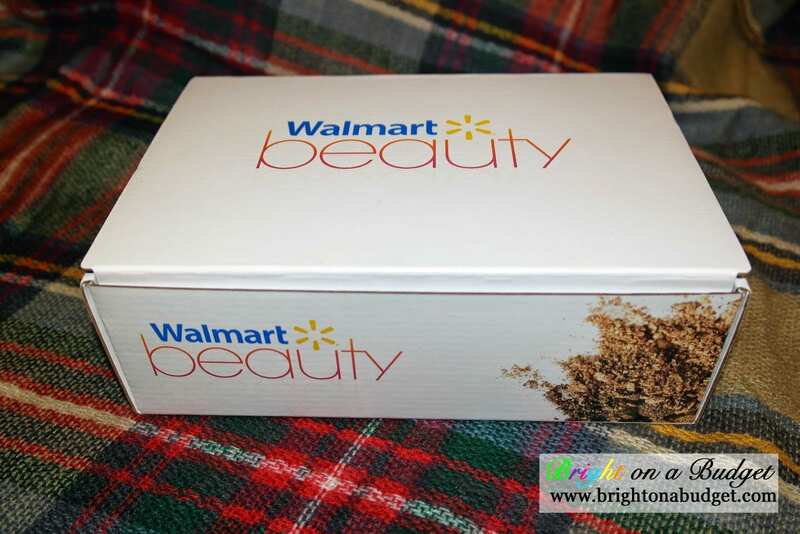 I'm so glad that I heard about the Walmart Beauty Box. It's a steal! You can't beat $5 at all. I'm pretty happy with my box. I only wish that they would have sent some eye shadow samples. I got a different color polish, but otherwise the same things! What a fun box! I didn't know Target or Walmart had beauty boxes! I will definitely have to check this out! Thanks for sharing! I'm going to sign up for the toddler box as soon as it comes out:) These boxes were so awesome! I'm glad you heard about it too!haha Eye shadow would have been nice–maybe next box! Jill, they're awesome! I hope Target brings out another one soon. At least with Walmart I know around about when I'm going to get the next one. Totally fun and great value! Who knew?!? There's great stuff in there!! Totally going to check this out!